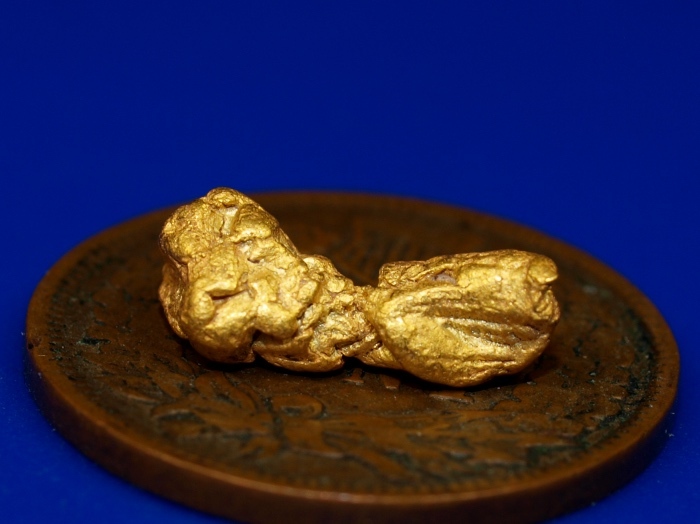 This is a lovely little gold nugget that was recently found by a prospector using a metal detector. 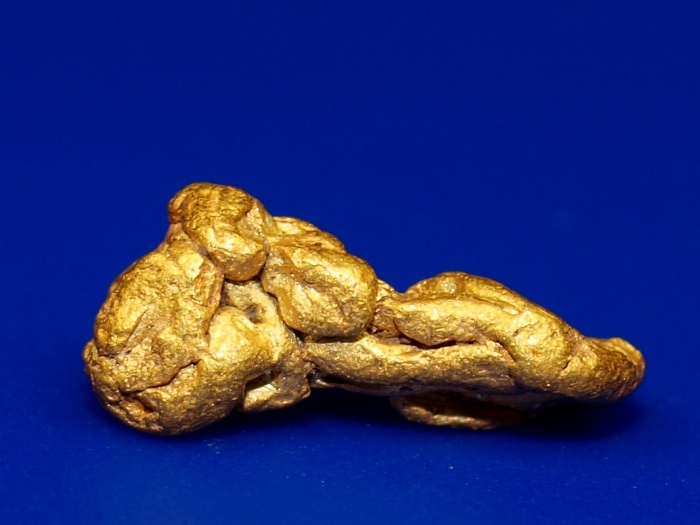 It comes from the Placeritas mining district in remote northern Nevada. 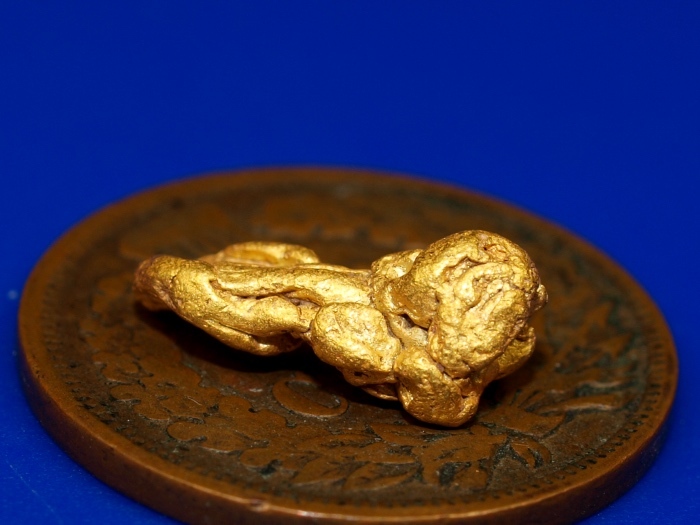 It has some lovely texture and patterns and is a lovely high-grade piece of gold from a rare location. It weighs 1.22 grams. It will make a fine addition to any serious mineral collection. The penny in the photo is for size reference only. It will ship for FREE and comes in a nice display case.